Hidden images: IPin, Lambo, and lots of candy/grenades. 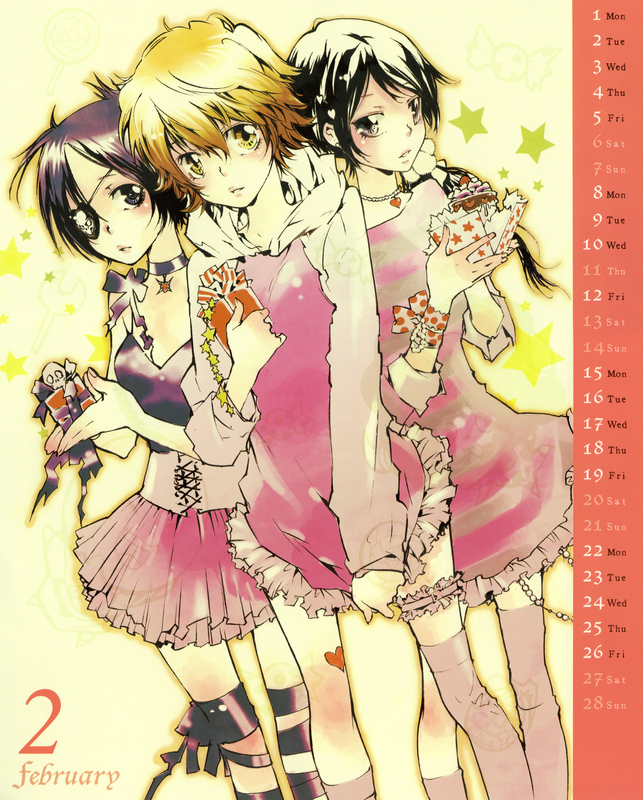 I actually don't like so much the one that Tsuna likes,I prefer the other two.And I find this image nicer because they are present in it. Thanks for this picture, I like it! Amano-sensei always does wonderfully detailed illustrations. awesome ! where did you get this pic ! cute! i like uni wait is that haru? cute! chrome is so cute here she useally dosen't come out much on photos like these their all cute! IPin kawaii! She is so cute!